Linux is popular among technology savvy computer users because of its efficiency and reliability. It is cross-platform compatible, working on desktops, laptops, servers, mobile devices, and even game consoles, tablets, and supercomputers. Because of this, the Linux OS is found in a great variety of hardware platforms. However, very few desktop and laptop PCs are installed with Linux as an operating system. The most popular operating systems for personal computers are Microsoft Windows and Apple's iOS. The term "kernel" refers to the core computer program in an operating system. It controls everything that occurs in the system. The kernel serves as the connection between the hardware and software of a computer system, and it is the first program loaded during startup. The kernel resides in a protected section of the system's memory to prevent it from being overwritten. From there, the kernel manages memory allocation, software input and output requests, and central processing unit (CPU) instructions. A great many devices, systems, and organizations utilize the Linux kernel as an OS. Many use Linux on their servers. Often these are modified versions of Linux, customized for the user's specific needs and requirements. For example, the United States Department of Defense is said to be the biggest user of Linux as an OS. The Federal Aviation Administration is another large U.S. government organization that utilizes Red Hat Linux operating system. The U.S. Postal Service and the U.S. Federal Court system also use servers that run Linux. Financial organizations have also turned to Linux-based operating systems. The New York Stock Exchange runs Red Hat Enterprise Linux on its trading platform, for example. Linus Torvalds is a Finnish-American software engineer and the original creator and developer of the Linux OS kernel. He was born December 28, 1969, and attended the University of Helsinki where he earned a degree in computer science. The penguin image (pictured here in this article) is the official mascot of the Linux kernel and is known as "Tux." It is the most commonly used logo associated with Linux. 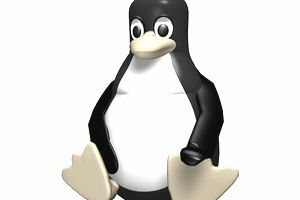 The Tux image was originally submitted during a Linux logo competition. Some Linux operating system distributions use different logos or variations on the penguin.